A ready-to-drink bottled black coffee tested over ice. Sweetly brisk yet juicy; original. Flavor notes of crisp, fruit-toned cocoa, fresh-cut cedar, raspberry, passionfruit, violet-like flowers. Satiny, lively mouthfeel. Long finish resonating with cedar, fruit and flowers. Whole milk turns the cedar toward almond, the cocoa toward full-on chocolate, the tart fruit jammy. This exceptional coffee was selected as the No. 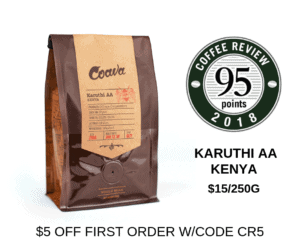 17 coffee on Coffee Review’s list of the Top 30 Coffees of 2018. Sold in attractive 8.4-ounce cans. 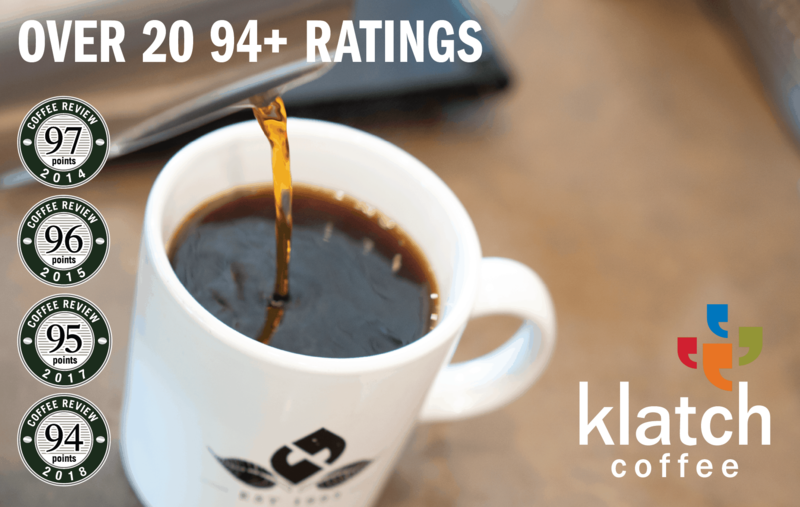 Sourced and roasted by Bird Rock Coffee and extracted by a proprietary version of room-temperature brewing trademarked Rain by the BKON company.Contains no ingredients other than coffee and water. The green coffee used to produce this beverage is a single-origin coffee from Finca las Margaritas in the admired Valle de Cauca growing region. It was produced entirely from trees of the heirloom Red Bourbon variety of Arabica, and was processed by the honey method, which means that the outer skin is removed as it is in the wet or “washed” process, but at least some of the sticky fruit residue is allowed to dry on the bean and later removed by machine along with the parchment skin. Bird Rock Coffee Roasters is a retailer and wholesaler focused on organic and socially responsible coffees; it was awarded the “2012 Micro-Roaster of the Year” title by Roast Magazine. Visit www.birdrockcoffee.com or call 858-551-1707 for more information. The Bottom Line: An original cold-brew profile, sweet yet crisp, complexly fruit-toned, refreshing without loss of authority.